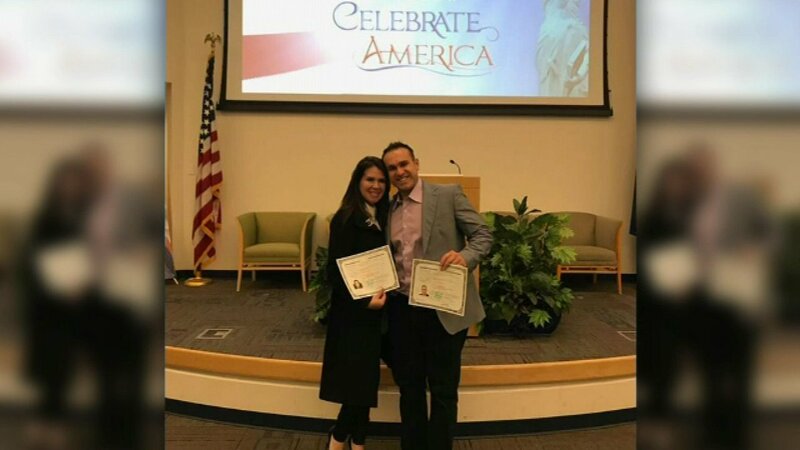 CHICAGO (WLS) -- Cubs catcher Miguel Montero and his wife Vanessa became U.S. citizens on Monday during a ceremony in Chicago. Montero tweeted a photo of the couple in front of a sign that read "Celebrate Citizenship, Celebrate America." His photo caption read: "i love this 2 countries" with images of the American and Venezuelan flags. Monday night, Cubs fans cheered Montero as he took the field during their game against the Phillies. He played first base late in the game.